or can price individually if necessary. Oops, didn't edit this in time. 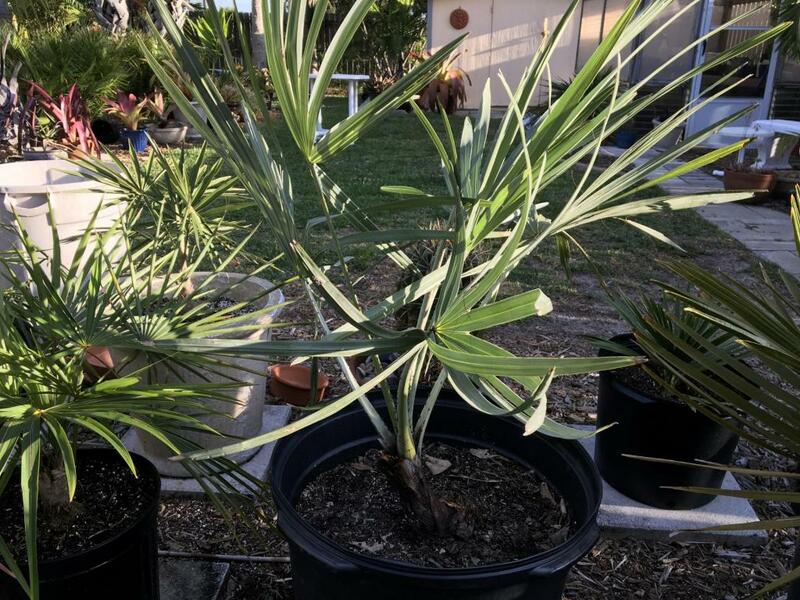 I think I made a mistake, Hyphaene is a 9A palm, cold hardy to low 20's. It was nice to meet you, and thanks for the palms and the tour! Those two make my 55th unique species, yikes! 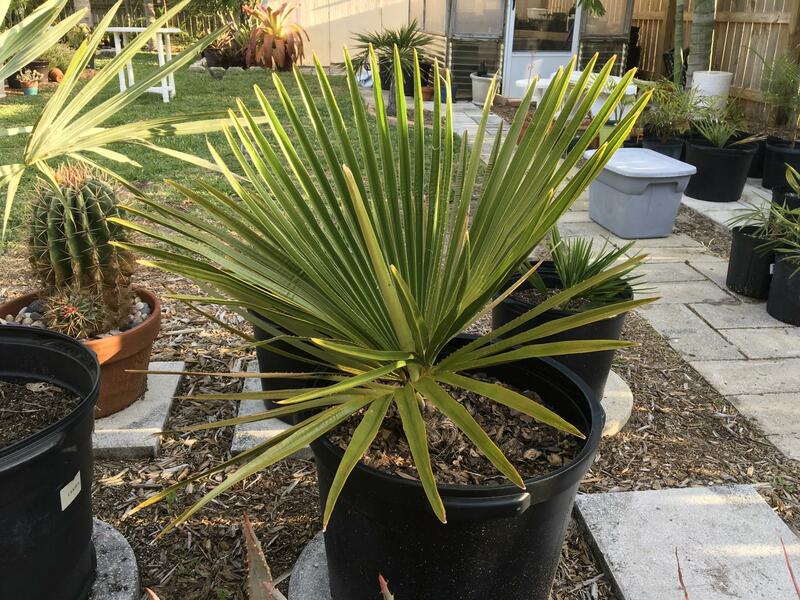 I'll have to look into the Coccothrinax group of palms, now that I have my "monsters" in place. Unfortunately now I really want a Borassus, even though I have two 6' tall silver Bismarcks and don't have the space for one! 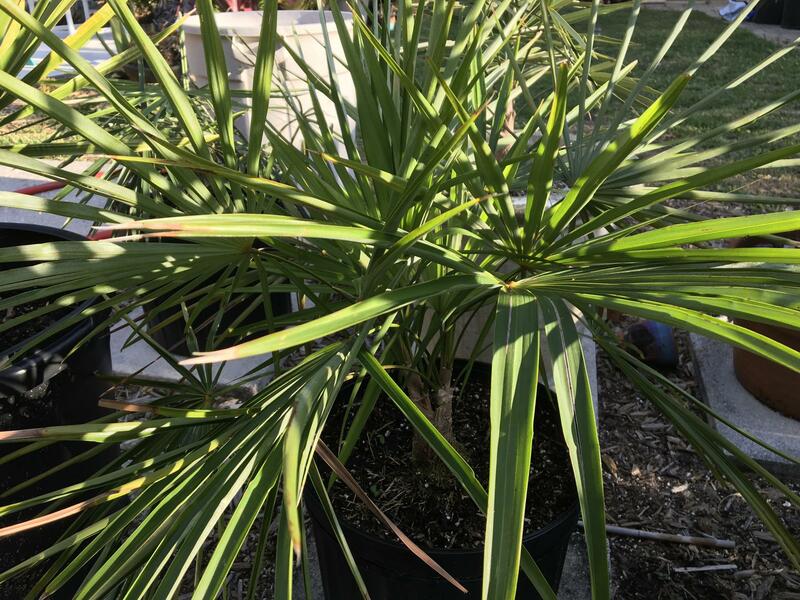 Hyphaene is a 9A palm, cold hardy to low 20's. I'm hoping this is correct - I just germinated one this past October and got the first silver leaf last month. How many years did it take to get that size from seed? 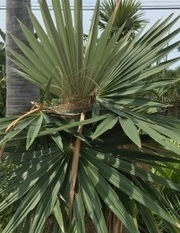 Great looking palm - well grown! I hope mine looks as good at that size. 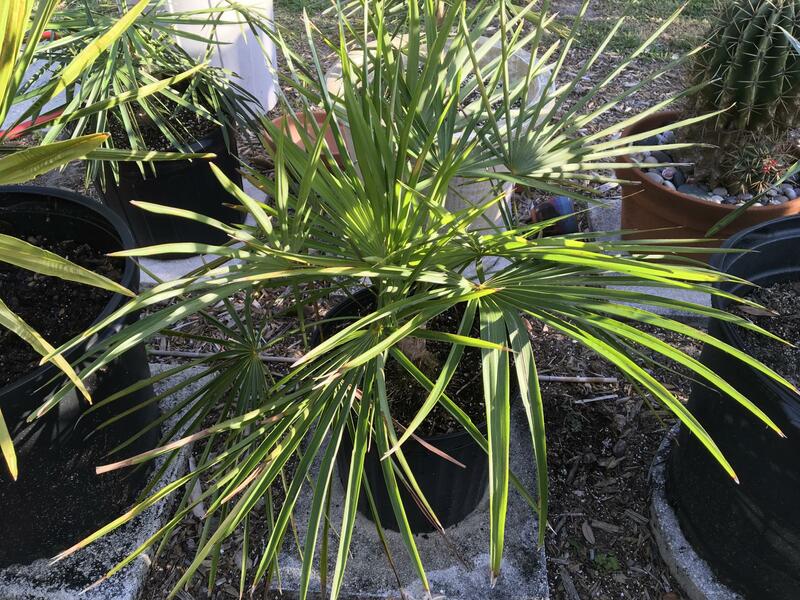 If you have read the 'Dent Smith' thread earlier, this month, the Hyphaene he planted is still alive and growing in Daytona Beach! So that's very encouraging. As for age, I'm guessing 8 yrs? 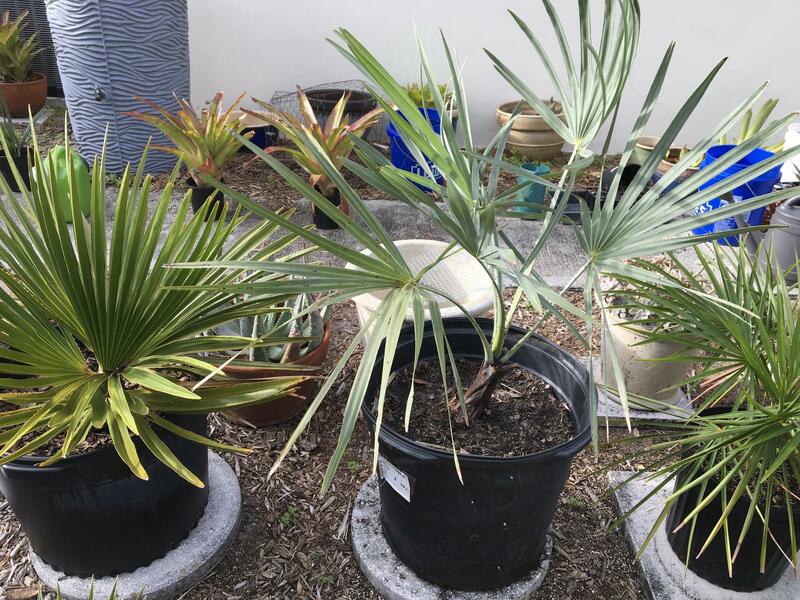 But really, when I grow a palm from seed that I intend on planting, I alway get it in the ground when it's 3 gal size. They seem to grow much faster in ground than in a pot. Only the Hyphaene is left, but alas, No Shipping..